I dedicate this website to the adventures of traveling solo; hence the name, In The Company of None. The name came to me while driving in Nags Head. What a perfect name to describe my adventures. After selling the family home in the Fall of 2014 I embark on a 6 month solo adventure around the coastal and northern route of the USA. It takes me through 30 states and 2 international countries. The journey is about self discovery not only for myself but of this wonderful country I call home: USA. We live in such a diverse climate and geography. Natural beauty is all around us which I will share with you through my writings and photography. Traveling has always been in our family blood. My father escaped the 1956 Hungarian Revolution to come to the US. 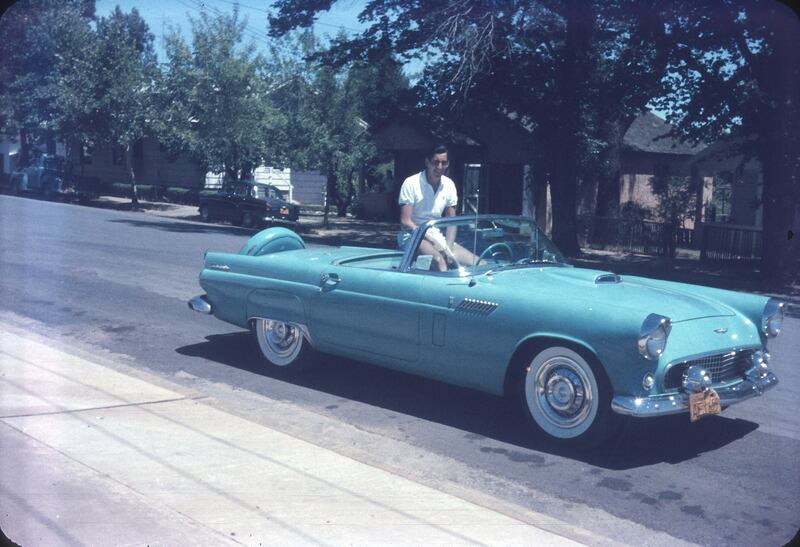 In the late 1950’s, he traveled cross-country on a solo adventure from San Francisco to NYC in his 1956 Thunderbird Convertible. He also traveled all his life to Europe, throughout the US and the islands. Anguilla was his favorite Caribbean island. My mother worked for American Airlines in the mid to late 1950’s and traveled the world. My three sisters have traveled extensively all over the world. My youngest sister Anne lived in Prague for a few years doing all sorts of things from selling her artwork on the streets, to being a DJ in a club. My sister Eve traveled solo to Mexico, Ireland and Indonesia among other places. My oldest sister Adele is a writer living in Paris, France with her family. My first solo adventure was in 1977 when I was 11. I flew on United Airlines from Boston to Salt Lake City. They let me sit in the cockpit and gave me my wings. From then on I am hooked on traveling. I’ve traveled with others and on my on own. Solo traveling however, is a wonderful way to experience life on your terms. That’s how I plan on living the next 50 years. I’m off on another adventure; would you like to come?